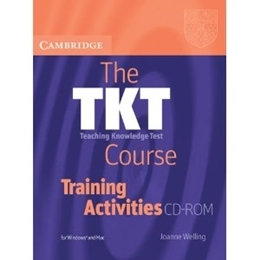 The TKT Course is THE teacher training course for teachers and trainee teachers preparing for the Cambridge ESOL ´Teaching Knowledge Test´ or other initial teacher training qualifications. 30 specially designed teacher training activities are offered in convenient PDF format on a CD-ROM. Tackling each of the core TKT modules in turn, these activities will help a teacher trainer bring the syllabus of the TKT to life. Ideal for use in TKT preparation, as well as general teacher training courses.